I love STUDIO XXI and I love the owners and all the people behind it. It is a beautiful space and it just has a great vibe when you walk in. Everything feels great about it. So it is your turn to experience it. And if you came already – come again! 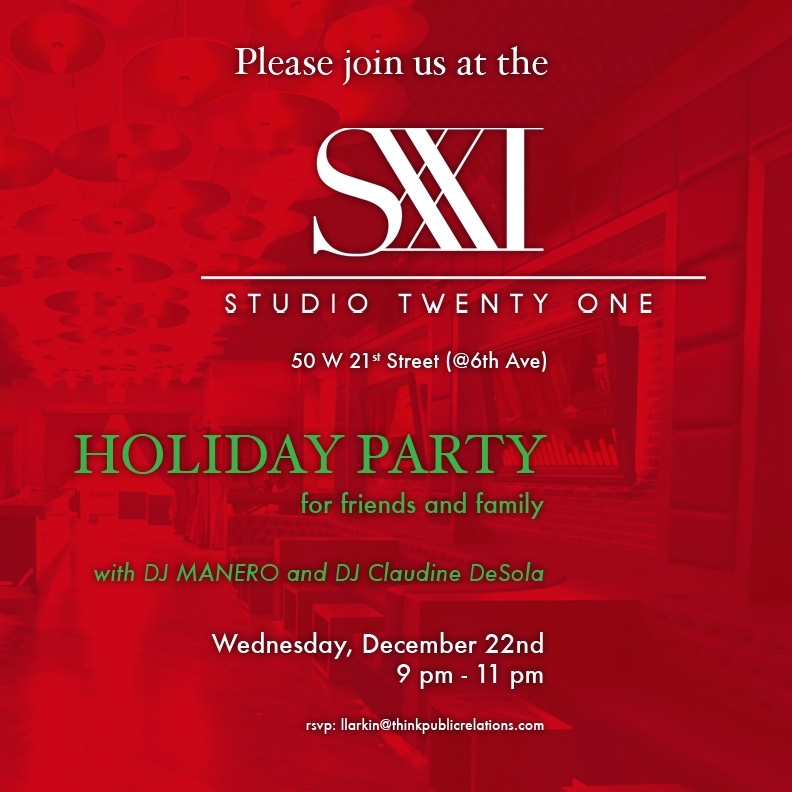 We are throwing a holiday party there from 9 – 11 pm tomorrow at 59 West 21st off 6th Avenue. The venue is so graciously offering complimentary vodka drinks – so come have some drinks + have some fun ! And the coolest party I am going to be djing a bit with my friend DJ MANERO – he is an awesome dj but he said I can get in there for a few minutes and play some tunes. Otherwise join us and bring lots of friends!